Denmark celebrates the 100th anniversary of Estonia's, Latvia's and Lithuania's independence - a major event and opportunity to highlight and develop the close ties between Denmark and the three countries. Together, we celebrate the centenary with a wide range of initiatives - both events for the here and now as well as long-term actions. Denmark enjoys a strong historical and cultural friendship with the three Baltic nations. The Danish efforts in connection with the Baltic fight for independence 1990-91, where the Danish Cultural Institute also played a large role, are still remembered clearly today. Denmark, Latvia, Estonia and Lithuania are all small but competitive and innovative countries – we have much in common and much to gain from future collaboration. We share a common mentality and core values of freedom and independence which are highlighted by a strong tradition for cooperation. This tradition will be developed and strengthened throughout 2018 and 2019 with a host of thought-provoking and inspiring cultural events and projects. The Danish input to the programme for the Baltic centenaries was presented by Danish prime minister Lars Løkke Rasmussen on the 16th of January in the National Library of Latvia in Riga. The wide-ranging programme has been developed by the Danish Cultural Institute and includes, among other things, music, art, children and youth culture, city planning, architecture and creative industries. Scroll down to see the detailed programmes for Estonia, Latvia and Lithuania. The initiatives below will frame the comprehensive Danish celebration of the 100th anniversary of Estonia and the 800th anniversary of Dannebrog. The commemoration will continue throughout 2018 and 2019 and will be embraced by a huge celebration on June 15, 2019 – the very day we celebrate the 800th anniversary of Dannebrog falling from the sky over Tallinn. As an example of distinguished Danish musical art, the ensemble will present a selection of both early as well as more contemporary classical music from Denmark, Estonia and Latvia. Formerly known as Efterklang, the band Liima has long enjoyed great popularity in the Baltics. The concert will take place at the fashionable club Erinevate Tubade Klubi. The Museum of National History (Frederiksborg Castle) will produce a historical exhibition on the history of Dannebrog. The exhibition will be on display in the tower Kiek in de Kök (Tallinn City Museum) and is also planned to be shown at Fredriksborg castle in the autumn of 2019. Photos of selected items will moreover be publicly shown at the Freedom Square in Tallinn. To mark the first Danish celebration of the centenary of the Republic of Latvia, the Danish Christian IV Vocal Ensemble performed a concert on the 17th of January at St John’s Church. The programme was inspired by the period of the Reformation and the thoughts of Luther – symbolising ideas of freedom and independence central to the Republic of Latvia. One of the highlights of the celebration programme is the support of the development of creative industries in Latvia. This area is currently a high priority for both Latvia and Denmark as culture and creativity are important assets for the successful growth of future generations as well as new means for economic development. Danish experience and Latvian innovation go hand in hand which is especially manifest in the renovation and refurbishment of the formerly Danish-owned tobacco factory in Riga. In the future, the factory will re-open as a culture house and incubator for creative industries. An open architecture competition will be launched in August and the winner will be announced at a Danish-Latvian conference on creative industries in December 2018 when HRH Crown Prince Frederik and HRH Crown Princess Mary of Denmark will visit Latvia together. Danish architects will direct the transformation of the factory, and the laying of the corner stone is expected to happen in December 2018. Danish and Latvian creative initiatives also continue to flourish with projects such as Creative Business Cup Baltic Sea Region. Formerly known as Efterklang, the band Liima continues to enjoy great popularity in Latvia. The concert will take place at the Von Stricka Villa – a mansion in Riga’s creative neighbourhood rebuilt into a unique event venue. During Kuldīga Cycling Festival, a number of Danish events will take place – from a cycling tour to children’s films, an exhibition and a virtual reality experience of a real Copenhagen bike ride. Urban planning guru Jan Gehl will launch his bestseller ”Cities for People” in Latvian as part of the MadCity conference in Riga. The award-winning Danish theatre play starring Ina-Miriam Rosenbaum, Henrik Goldschmidt and Anders Vesterdahl is performed at the Jewish Community of Latvia. His Royal Highness Crown Prince Frederik and Her Royal Highness Crown Princess Mary of Denmark are expected to visit Latvia which will be the culmination of the Danish celebrations of the Latvian centenary. The presentation of sketches for the new tobacco factory and a conference will provide the setting for meetings between Danish and Latvian representatives of creative industries. Within the Danish-Lithuanian cultural cooperation, notable focus will be put on film in 2018, allowing Danish experience and Lithuanian creative expertise to go hand in hand. A film project for children titled Film LT100 will be launched. Here Lithuanian school children will be taught to make short film, through Danish teaching methods. The goal is to develop the creative education and give children and young people a better understand of the media. Furthermore, the Vilnius International Film Festival will see a strong Danish presence through film screenings and a Danish pavilion, providing a forum for discussions and exchange between Danish and Lithuanian producers, distributors and creatives. An additional programme of diverse celebration events will be carried out. A museum exchange programme between the museums in Holstebro and Kaunas will be initiated, and 2018 will also see an exhibition on the life and work of Danish architect Jan Gehl, globally and in Lithuania. Finally, a number of classical and contemporary music events will add to the celebrations. Formerly known as Efterklang, the band Liima has long enjoyed great popularity in the Baltics. The concert will take place at the fashionable venue Kultūros baras Kablys. The festival will have a strong Danish presence with film screenings and lectures as well as exchange activities between Danish and Lithuanian producers, distributors and creative professionals. Lithuanian teachers will be trained in Danish methods within the fields of film and education. The methods will then be spread out to schools in different Lithuanian cities to develop the children’s creativity and establish a critical distance to different medias. The Danish theatre play – winner of a Danish Reumert – JOB – A Simple Man to play in Vilnius. The Jewish themed performance is highly relevant specifically in Lithuania where the Jewish history have been so dramatic. An exhibition about Danish architect Jan Gehl’s life and work, globally and in Lithuania, will open in Vilnius. Jan Gehl himself will be visiting Vilnius for the opening of the exhibition where he will also give lectures about his world-renowned methods. An exchange programme between museums in Kaunas and the Danish Museum of Cultural History (Holstebro) is being initiated. 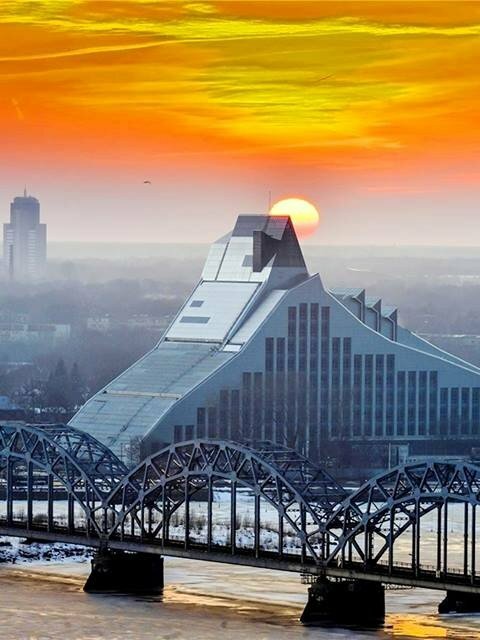 The collaboration will be leading up to Kaunas being European Capital of Culture 2022.